Don't worry, they extract the urine on new customers too. I've had my 107 with LV and my Boxster with A-plan, then Locktons, but heard so much about multicar I thought I'd give it a try. 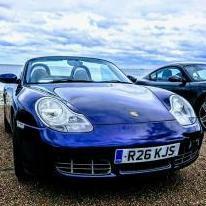 Admiral came up with £690 which is £200 more than using a specialist for the Boxster. Asked LV for their Multicar and they came back with £480 for both, but mentioned they also do Classic policies so I asked for a quote for just the Boxster and they came back with £144😂, 107 was £244, so I did a comparison search and got £160 from Hastings direct as LV were unwilling to price match as they have in previous years. I pretty much just want to be legally covered to drive since neither car is worth much, so this is perfect. Still can't believe how cheap the Boxster cover is. Just need to tax it and then it's back on the road😀. Cheers, like you, I've been with them years, but always get them to match the best comparison website price each year. My Boxster is SORN at present, but unfortunately the last two policies with AIB and Locktons didn't accrue NCB, so will try adding when the policy is up for renewal in March. That's interesting, I'm with LV and hadn't realised you could do multicar with them. Do you build up separate NCB for each car? I suspect the Boxster would be cheaper to insure as the 'normal' car as the Alpina will have high parts prices. Do you ever drive to work in either car? My Classic policy excludes commuting. Maybe try a few dummy quotes on a comparison website. I have full NCB on my 107 and have insured my (now sold) Spitfire on a classic policy for the last three years and the Boxster first year with A-plan and currently with Locktons. Assuming I continue to insure the 107, do I actually have any further NCB accrued that I could use on the Boxster, or do some policies not accrue NCB? They can only make a judgement on what they can see. If you sand down the pipe and paint it, they have no way of knowing whether the pipe has corroded badly or not. They cannot infer from this that is is badly corroded underneath. I'd take it to the MOT without treating it as you want to know if they think they need replacing. If they pass with an advisory, or whatever they are called now, then you can treat them to prevent further deterioration. Why not just google for tyre and alloy insurance and pick the best deal. Likely that OPC are just reselling one of these policies with a huge markup. Always worth checking the T&Cs for claim limits and repair policies before parting with cash. Good point there, you are only allowed to drive to/from a pre-booked MOT. Correct, I have just had this with my car after some work over ran on my driveway. The only possible issue is that some Insurance policies state that an MOT should be in force at all times, so technically you shouldn't park on a public road with no MOT if this is the case with your policy. I did have a visit from plod about my 107 parked on the public road without an MOT when some busybody neighbour reported it to the police. He just advised me to get it MOT'd or off the road. It's also fine to drive to and from an MOT station without a valid MOT as long as the car is roadworthy which is different to merely having an MOT and relates to various safety critical things like structural rust, major braking system and suspension faults - basically stuff you would be an idiot to drive with anyway. You can have an unroadworthy car with a valid MOT ( fault develops after test) as well as a roadworthy car with a fail certificate where the fail is due to high emmisions. 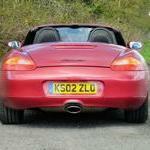 My Boxster failed on number plate light and blowing exhaust, but was fine to drive home for repair. If it had said leaking brake pipe then I wouldn't have driven home as it would have been unroadworthy. When I got my 986 2.5 a couple of years back I asked Greenlight on here for a quote, but they declined on the basis I had no experience of powerful rear wheel drive cars. I went with A Plan instead who had no such bar. Why not put your details into a comparison website, this will give you a ballpark figure which a specialist broker should be able to better. @Southy's idea is a good one. Is it your only car? Is it just social, domestic and pleasure, not commuting? I'd be expecting £1k plus. Maybe try one of the forum insurance sponsors or go on a comparison site to get a ballpark and then try the more specialist brokers. Update. just phoned Locktons about windscreen claim and I can just choose whichever repaired I want and either get them to invoice Locktons, or pay and claim back. No issue with using OEM windscreen? Very impressed with this policy, was a little more expensive than other options, but looks like when it matters, the extra is worth it.